One of the most popular, newer Christmas songs was penned by Christian comedian, Mark Lowry. These are serious lyrics written by a funny man. 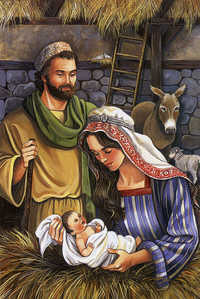 Imagine, the One who Mary delivered would one day become her Deliverer. The Incarnation! What a miracle! What a spectacle! What a Savior! Click here to hear Mark sing this great song!